Oral health is of crucial importance to the well-being of each individual. Dental care is part of basic medical care. Various studies have shown the links between inflammation in the mouth and health problems. There are over 600 species of bacteria in our mouth. Some may enter the bloodstream and cause damage: cardiovascular problems, diabetes, respiratory diseases, joint inflammation, risk of premature delivery. Regular dental hygiene and periodic controls are the keys to good oral health and a beautiful smile. Smiling prolongs life expectancy, reduces stress and causes a positive impact on the person. A beautiful healthy smile therefore gives confidence and well-being in everyday life, in professional and personal life and does not affect the health of the body. It is for this reason that we offer our patients complete dental care. One of the innovations underlying the constant development of Adent clinics is to have – under the same roof – experienced and complementary practitioners across the entire healthcare chain of modern dentistry. We offer all current dental treatment for prevention and repair in adults and children : root canal treatment, filling and repair of broken teeth, extractions, treatment of decay and gum problems (gingivitis, gingival recession, periodontitis, abscess, etc. ), orthodontics and aesthetic care. Regular check-ups at your dentist help quickly detect any problems that may affect the health of your teeth and gums. Annual visits to the dentist allow us to monitor and treat common ailments, especially if weaknesses are observed (bad position of the teeth, gingivitis, etc.). 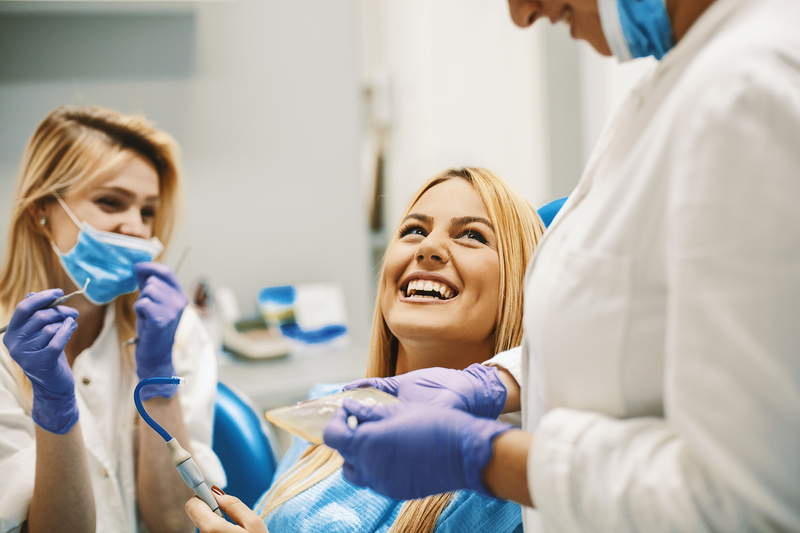 Regular appointments with the dental hygienist help you to implement personalised prevention and to maintain healthy oral hygiene thanks to the personalised advice and various auxiliary means currently available on the market. Dental decay is a common infectious disease due to multiple factors such as a sweet diet, insufficient oral care, or a failing immune system. 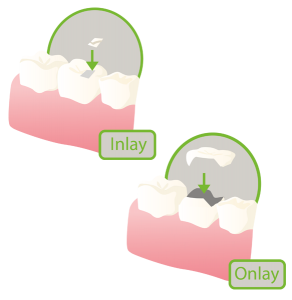 If the decay is not treated, the cavity widens and reaches the dentine (layer under the enamel) or the nerve of the tooth. Pain can be felt, especially with hot, cold or sweet substances. Symptoms vary depending on the stage of development. When the cavity touches only the enamel, the pain is not very intense and sometimes non-existent. From the moment when the decay begins to approach the nerves of the tooth, sensitivities appear on contact with cold and hot substances, and the pain becomes more and more intolerable as the decay progresses. Radiography reveals signs of early decay. Dental extraction occurs only when the decay is very advanced and has reached the in-depth tissues. Root canal treatment involves removing the infected, damaged or dead nerve from the tooth. Le The heart of the tooth contains the nerves and blood vessels that allow the tooth to develop. Bacteria that enter your teeth through damaged cavities, fissures or fillings can cause an abscess. The infection of the dental pulp is the cause of this abscess. In this case, the pulp must be removed. Root canal treatment allows you to keep your tooth rather than it being extracted. By retaining your natural tooth, you prevent other teeth from losing their alignment and causing problems in the jaw. The dentist performs local anaesthesia and places an insulating membrane around the tooth. He makes a small opening in the tooth to access the canal and the damaged pulp. Using precision instruments, he removes the pulp, cleans and expands the canal. He fills the canal and closes the tooth with a temporary or permanent filling. The tooth is no longer sensitive to heat or cold but retains its properties. 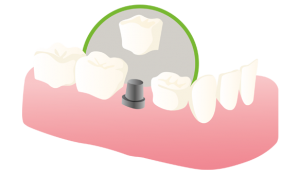 The installation of a crown and a pivot is generally necessary to prolong the life of the tooth as it becomes fragile. The extraction of wisdom teeth is part of the field of oral surgery. It is a surgical act that is regularly practiced and mastered within Adent clinics. Wisdom teeth grow at the age of 15, but sometimes they are absent. Regularly, their extraction is necessary because they do not grow in the right axis or remain “enclosed” under the gum. Due to lack of space in the jaw or improper positioning, they can cause problems such as infections of the surrounding tissues and neighbouring teeth, treatment of decay or movements of the neighbouring teeth. To determine the location and number of wisdom teeth present, the dentist must take a panoramic X-ray of the mouth. The latter will then give him all the information necessary to establish a treatment plan. Composites are materials in the form of very aesthetic pastes or liquids and allow invisible restorations of worn, broken teeth, using a multitude of shades. Owing to progress made in recent years, they are used for a large number of restorations of small to medium importance, both for the anterior and posterior teeth. Other important advantages in addition to the aesthetic appearance, it is not necessary to remove a lot of healthy dental substance to be able to insert a composite filling. The composite and the adhesive are sensitive to moisture, the practitioner must take special measures to keep the area of intervention dry. Sometimes local anaesthesia is needed to avoid pain. The dentist then applies an acid making the surface of the tooth rough. He then applies a fluid or paste composite; the latter hardens with the aid of a polymerising lamp. The sculpture and polishing of the tooth are the final phases. The price depends on the size and surface of the composite to be applied. The need to take X-rays or the application of anaesthesia also influence the cost. A thorough check by a dentist is necessary in order to establish an accurate estimate. These are prosthetic parts that rest on the tooth. Their role is to assist in the reconstruction of a tooth that has suffered from problems of oral hygiene, decay or cracks. As for a conventional crown, the dental technician cuts the tooth to reconstitute and then takes a dental impression. They can be placed on a living tooth unlike a crown that requires a devitalisation of the tooth. They are very aesthetic because they allow to reconstitute identically the damaged part of the tooth. These restorations are manufactured in our Adent 3D laboratories and our partner laboratories from various materials such as ceramics or a combination of composites and porcelain. How much does an onlay or inlay cost? The price can only be set after a full assessment of your oral situation by one of our qualified dentists. The crown is a ceramic dental prosthesis that replaces the visible part of the tooth strongly affected by decay or fracture. It protects the tooth against wear and allows the covering of an implant replacing a missing tooth. The complete extraction of the tooth is avoided while improving aesthetics and comfort. After administering a local anaesthetic, he carves a part of the natural tooth. He then takes an impression of the tooth and the neighbouring teeth and sends it to the laboratory to ensure that the permanent crown is perfectly adjusted. He then makes the temporary crown that he places on the tooth to protect it during the making of the permanent crown. At the next session, the dentist replaces the temporary crown with the permanent crown, checks the fit, shape and colour, then cements it into position, thus restoring the function and appearance of the tooth. The cost of a dental crown depends on its size and location. Visit your dentist for a thorough check and a precise quote.